Santa in stocking cap with snowman pompom painted around a glass jar. Also includes a Santa HO tag on a 3.5" flat round ornament. 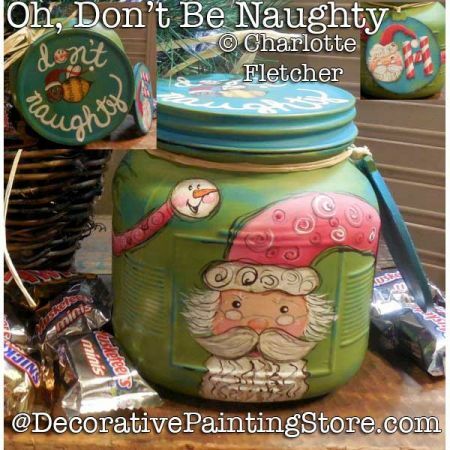 Painted with DecoArt Chalky Finish paint paired with DecoArt Americana Acrylics. Jar is from Dollar General Store.